HARARE - fastjet's reimagined inflight magazine Places this month features Miss Tourism Zimbabwe 2016 Ashley Morgen on the cover. Dressed by celebrated South African designer Khosi Nkosi and photographed by Angie Lazaro on the mighty Zambezi river at Matetsi Private Game Lodge. 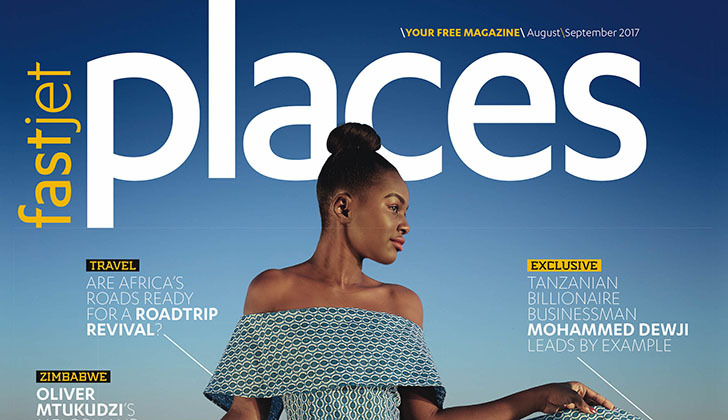 Following two beta-issues, the August 2017 edition of fastjet'sPlaces Magazine marks the transition from Smart Travel to a more accessible title with greater universal appeal. The new-look magazine and cover comes as fastjet introduces additional flights between Harare and Johannesburg, Harare and Victoria Falls as well as Victoria Falls and Johannesburg. The airline now operates approximately 78 weekly flights in Zimbabwe, including its popular Harare to Dar es Salaam route. Also in fastjet's August Places Magazine, Zimbabwe's iconic star Oliver Mtukudzi is featured along with a look at some of the attractions Harare offers visitors. "The editorial mix of Places Magazine will be representative of all fastjet destinations in Africa," says fastjet Zimbabwe spokesperson Faith Chaitezvi. "In-flight magazines fulfil a significant role as part of the on-board customer experience," adds Chaitezvi. "Editorial mix and brand fit are paired to not only inform and entertain, but as a brand extension product it also becomes a highly leverageable tool in communicating with our passengers." As a marketing communication tool, she adds, a correctly leveraged in-flight magazine adds value well beyond the initial moment of engagement and consumption. Award-winning writer Tshepang Molisana was appointed as editor of Places Magazine. "The development of a magazine that appeals cross-culturally and pursues the essence of our continent has been a challenge not only met, but satisfied. Our intent is to showcase the richness of Africa's heritage, the personalities and the talent that is in abundance. 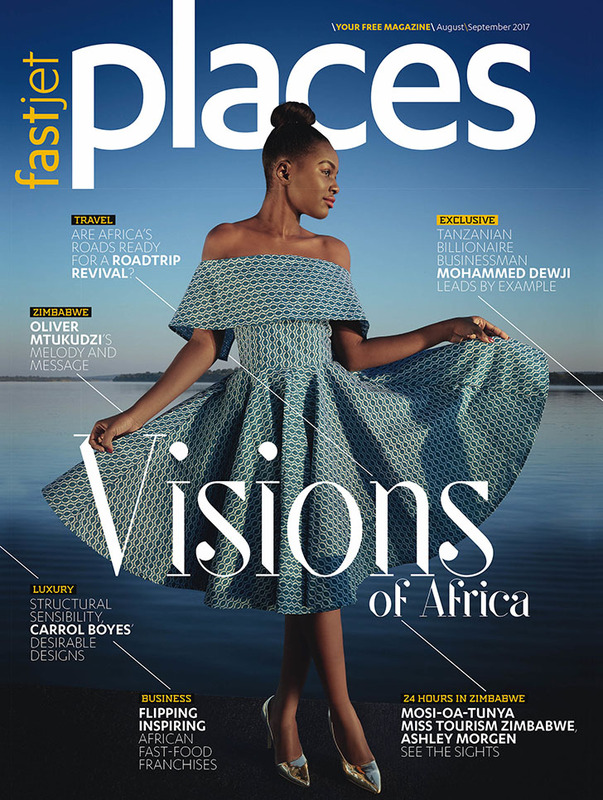 Places Magazine is an open invitation to share in the incredibleness of Africa and a showcase of the fastjet network and brand."